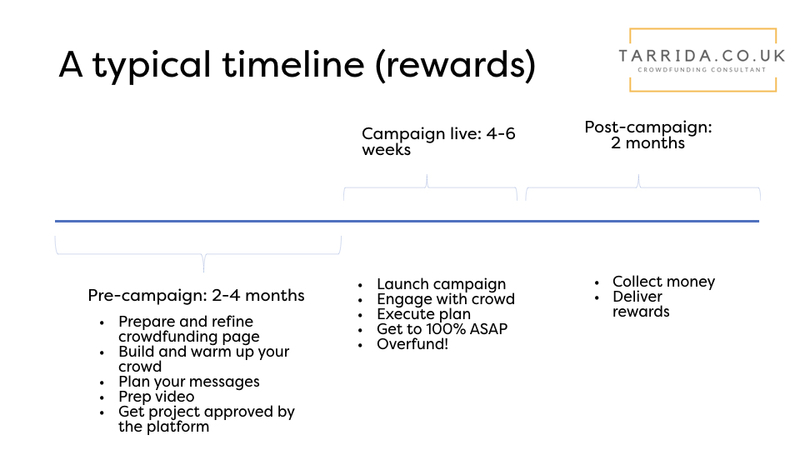 A typical timeline for a rewards-based crowdfunding campaign. Today, we’ll be taking a look to a typical timeline for a rewards-based crowdfunding campaign. Recently, I discussed a typical timeline for an equity crowdfunding campaign, so have a look at that article if you’re interested on that crowdfunding modality. tl;dr it takes 4 to 7 months, from starting to plan a rewards-based crowdfunding campaign to having the money in the bank. Depending on the complexity of the rewards, it can take up to a year for the backers to receive them after the campaign has closed. To understand how long your campaign is going to take, let’s take a look at its components one by one. In this phase, we’re getting ready for the campaign. We prepare and refine our crowdfunding page, shoot and edit the all-important video and get the project approved by the platform. Perhaps more importantly, at this stage, we build a community of backers. We will warm them up and getting them ready to back us early, so we can show momentum in the campaign. This is crucial for backers that don’t know us yet. Without momentum, they won’t feel compelled to invest along our crowd. I can’t emphasise this enough. The pre-campaign is the most important phase of the campaign! If we don’t do a good job here, we will not succeed, as simple as that! That’s why I recommend my clients to take as much time as needed here. If you have a strong community (perhaps a big following on social media, loyal podcast listeners or YouTube viewers), it could take as little as two months. But more often than not, that’s not the case and more typically we spend about 4 months (sometimes more!) in this phase of the process. A good way to build a community, if you don’t have yet one, is to tap into other communities. For example, for a cycling accessory, tapping into local cycling clubs, online forums and YouTube influencers. Your email list is crucial, as it is the best converting channel. Growing it by driving traffic to a landing page is certainly recommended. You could do it through paid advertising or organically by engaging with the communities we have discussed. 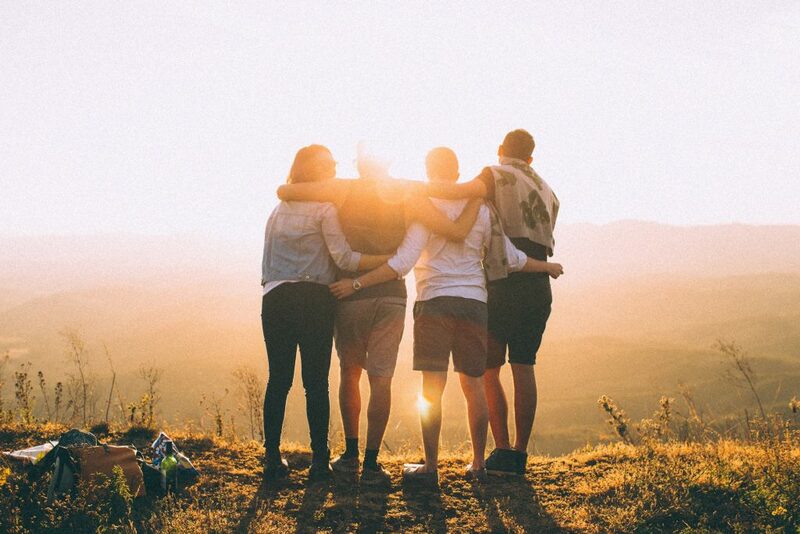 A strong community, the main component of a successful rewards-based campaign. Photo by Helena Lopes on Unsplash. It’s the moment of truth. I am a big believer that rewards-based campaigns should be all or nothing. You will need to reach 100% of your objective to collect the funds, but is the most honest way to run a campaign – either you have the funds to bring your idea to life or not. In a future article, we’ll discuss how to set the objective so you reach it ASAP (spoiler: as low as you can afford to bring to life your idea!). Typically, you can set this period for 30 to 60 days. Let me tell you though that it’s an exhausting period. You’ll need to continually update social media, manage the forum, release official updates… I would advocate to spend a bit more time on the pre-campaign and minimise this period as much as possible.  There are countless examples of companies that have extended their campaign period in platforms such as Crowdfunder, in agreement with the platform. But I wouldn’t recommend it as it doesn’t look very professional or transparent. All things going well, you’ll have achieved your objective during the live campaign. The platform will now release the funds to you and you’ll be able to start producing your product or delivering your service. I work with my customers on this front, especially during the pre-campaign, so we don’t find any nasty surprises at this point. After all, I learned the hard way on my first campaign with Crumbs Brewing! Typical mistakes are underestimating the shipping costs or the time that fulfilment will take. Also, be careful with the tax implications of your crowdfunding campaign! After all, the tax man sees this as a sale, therefore it will be subject to VAT or your local taxes! So, let’s do some maths to see how long a typical timeline for a rewards-based crowdfunding campaign is. On average you’ll spend 3 months on pre-campaign, 1.5 months live on the platform and at least 2 in post-campaign. As you’ll collect the money at the end of your live period in the platform, hence the conclusion of 4 to 7 months. But the work doesn’t finish then! Actually, it has just started and you need to fulfil all those perks to your backers! Do not underestimate the work behind this! Thanks for reading. As always, please do let me know if you have any questions, points to expand on etc. Please comment on this post or fill in the form at Contact me.